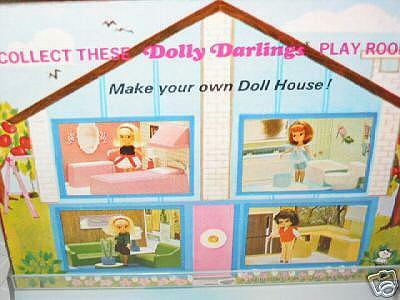 Make your own Doll House! Upper left - Tea Time in a pink bedroom. Upper right - is Slumber Party in the bathroom. 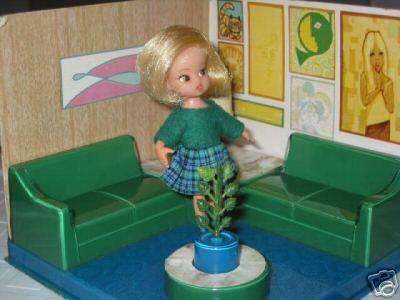 Lower left - School Days in the living room. Lower right - Casual in the Kitchen. 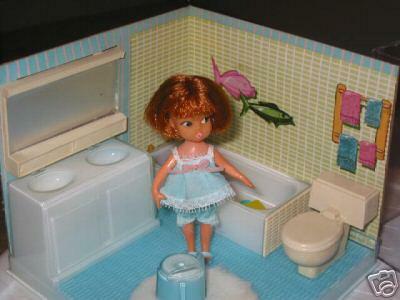 You can find more information about these Hasbro Playrooms dolls in Cindy Sabulis book; Dolls of the 1960-1970s.